Every morning at the beach we go for a walk. I like looking for shells and whatnot along the way. One of my favorite things is to walk up to where there are a cluster of stumps. 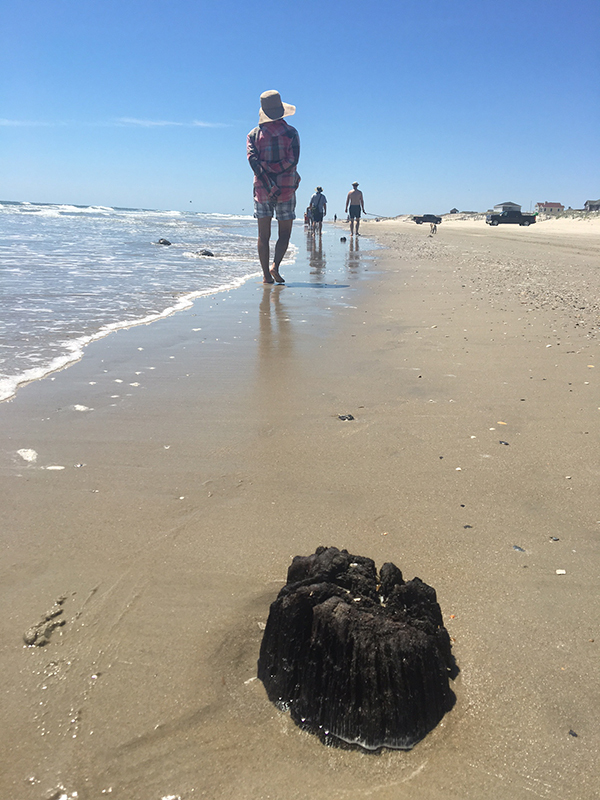 You might be wondering why there are tree stumps on the beach. At one time it wasn't the beach. It was the forest. 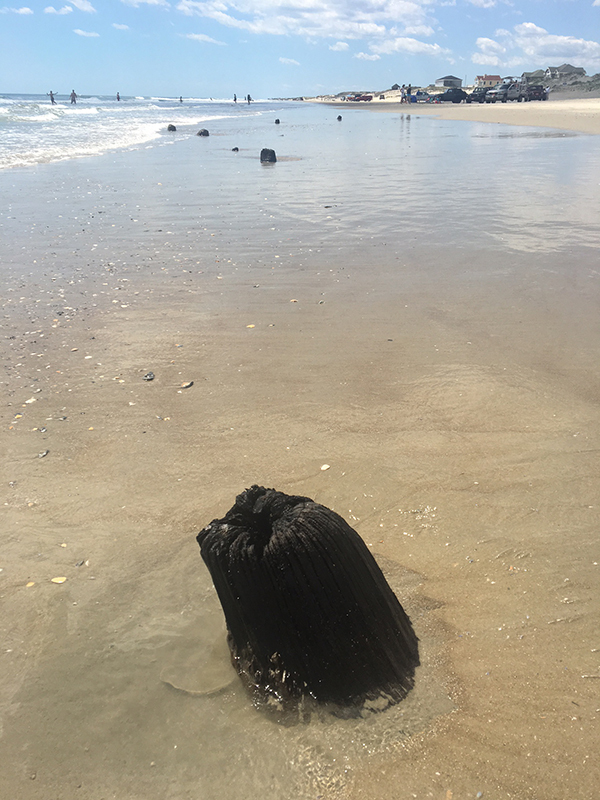 As the shoreline of OBX moved west, the trees fell and then were exposed again by the water. I think it's the coolest thing. 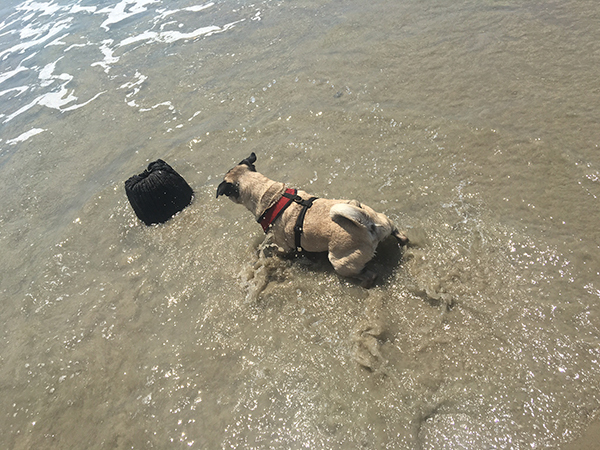 For some reason, Hugo saw the stumps as a threat. He spent a good deal of time lunging and barking at them. Eventually the beach will keep washing away and the stumps will be under water. 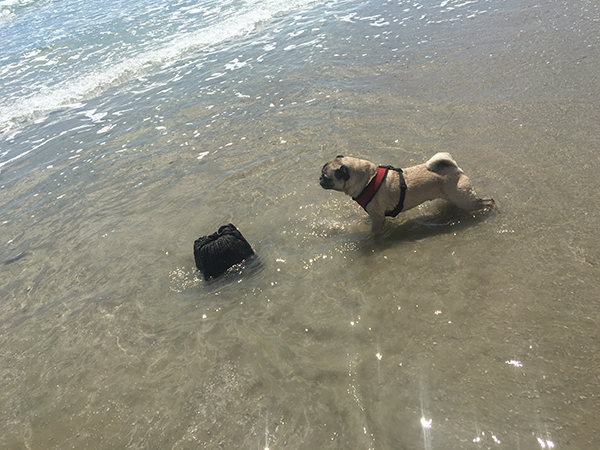 The life of a beach stump.